Back in 1971, Paul Northrop decided it was time to go into business on his own. Having been employed in the tape and industrial packaging industry for many years, he felt that he had enough knowledge to venture out on his own. Trenton, New Jersey was the location where Industrial Salesmaster Corporation (ISC) was born. Business grew from 1 employee in 1971, to 15 employees in 1989; ISC was growing in leaps and bounds. In 1989, the move was made across the Delaware River to Fairless Hills, Pennsylvania. 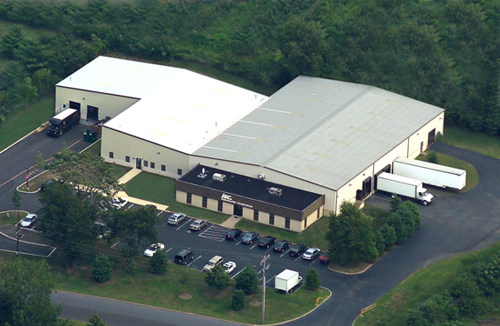 A modern 18,000 square foot office/warehouse building was erected. Fast forward to 2006; along with a staff of 25 employees, an additional 10,000 square foot was added, making the building a total of 28,000 square foot. Although his four sons have taken over the management and everyday operations, Paul still comes into work everyday. Salesmaster Corporation is a high volume distributor of Industrial Packaging Supplies. Manufacturers throughout the northeast have relied on Salesmaster Corporation's team of packaging consultants to prepare and protect their products as they are shipped around the world. Boxes, bags, tape, foam, plastic wrap, bubble wrap, strapping, pallets, paper, etc. - Salesmaster Corporation carries a full line of products which satisfy its customers' needs at the lowest cost with the highest level of productivity. Call today for your needs tomorrow!! Like many others during the era, Paul Northrop started drag racing cars in the late 1950's. With marriage, family, and business constraints weighing on him, he gave up his passion, but only for a little while. 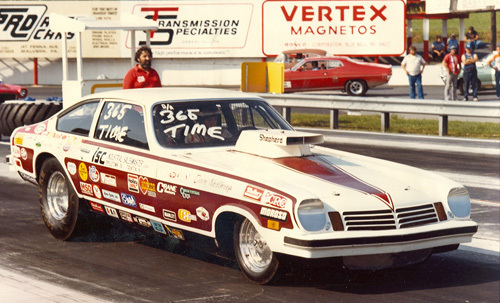 When his oldest son Dave turned 17 in 1982, Paul purchased a Vega to start drag racing again. Through their racing exploits and their experience in the tape industry, Paul saw there was a demand for colored duct tape in auto racing. So, in 1982, ISC Racer's Tape was formed. Now, 24 years later ISC Racer's Tape has grown into a complete line of Tapes for the entire racing industry in the U.S.A. and throughout the World!! From Nascar to Go-carts, everyone uses ISC Racer's Tape. WE ARE THE ORIGINAL 200 MPH TAPE!! Dave Northrop, 1982 Maple Grove Raceway, 17 years old. 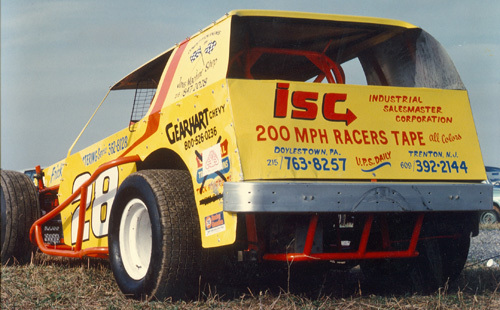 ISC Racers Tape has been sponsoring race cars since 1982.